You can now purchase bus passes and show your ticket to the driver using your phone. Just download the Token Transit app from the Apple App Store or Google Play. The first working paper from the South County Transit Short Range Transit Plan is available on our Agency Reports page. This paper outlines the current transit conditions. The plan will ultimately make suggestions for changes and plans for the next 3-5 years of the system. 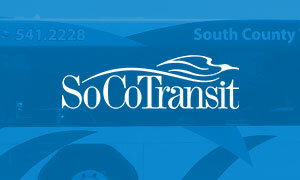 This plan examines the South County Transit system as well as the RTA Dial a Ride programs. Tuesday September 25, 2018: The San Luis Obispo Regional Transit Authority (RTA) received a $6.285 million grant to help fund the construction of a new administration and bus maintenance facility. The grant comes as a result of the Federal Transit Administration Buses & Bus Facilities Infrastructure Investment Program (49 U.S.C. 5339) which makes federal resources available to states and direct recipients to replace, rehabilitate and purchase buses and related equipment and to construct bus-related facilities. The FTA received 255 applications for this grant and SLORTA received the largest amount in the State of California. The motivating factors for applying for this grant are that the current location is too small to conduct the ongoing maintenance needs of the 90+ vehicles in the RTA fleet. 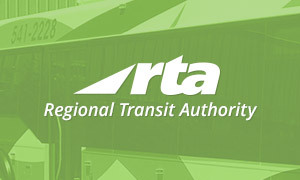 The vehicles that RTA maintains include the RTA buses, Paso Express, South County Transit, Runabout and Dial a Ride vans, administrative support vehicles and two trolleys. The second factor is that the lease on RTA’s current facility expires in February 2022. The land for the new facility was purchased in 2014 and is adjacent to CAPSLO’s new homeless shelter on Prado Road in San Luis Obispo. RNL/Stantec Architecture has been hired to design the new facility and it is being designed to meet the City of San Luis Obispo’s Green Building code. Solar power for the facility and infrastructure for battery powered “e-buses” is being explored. The new facility design is slated to be complete by October 2019 with an estimated completion of the project at the end of 2021. At the November 1, 2017 RTA Board meeting the Board voted to approve the proposed fare increase. This will go into effect on December 31, 2017. 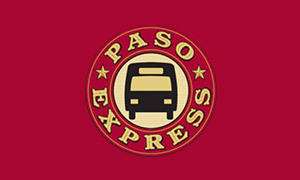 The fare increase does not affect the South County Transit or Paso Express systems.